Three months ago I decided to learn web development (read about how it happened here). In early-September I enrolled in Hack Reactor. Since then, I’ve been coding for 13-14 hours a day almost every day. I thought I was an efficient person before, but really had to up my productivity game to accommodate the intense coding schedule. I’m sharing with you some simple practices I tried that’ve helped me get everything done while staying healthy and sane. If you skim through them and go “I know these already”, I invite you to look again. Knowledge isn’t power until you put it into action. Your power lies in consistently practicing what you know to be wise and true. Until then, reading articles like this would be just another Internet time-waster. Alright, enough pep talk. Here we go. The first thing I put in my mouth every morning: 1/2 lemon + warm water. It cleanses/invigorates the body and mind and prepares you for the day. The second thing I do every morning. Make your workout however long you want, as long as you do it. I’m no exercise junkie, and half an hour is my bliss zone. But if I skip exercise because I’m tired or in a rush, I’d often end up 10-15% less productive that day. It’s an investment that keeps on giving. The busier my schedule, the more vigilant I am in guarding my sleep. I need at least 7 hours of sleep a day. For you it may be different. But the point is it never pays to deprive your body of rest. You may gain half an hour today by going to bed late. But you’ll lose more than that tomorrow with lower productivity. I also use this app to track my quality of sleep. 4. Stand up while working. Switching between sitting and standing helps your body and mind stay engaged with work. Get a standing desk if you’re fancy. I prop up my laptop on a cardboard box. Stand up when you grow unfocused. And sit down when your attention is waning again. I often hit a low point in energy level by mid-afternoon. That’s when I take a break and make a green smoothie from scratch…if I have time, which I usually don’t. As a second best option, I use a mix of this and this. I set aside short, mandatory quiet periods during the day, 2-3 times a day. I’ll be outside, unplugged from my phone and computer, focusing on nothing except being with my own being, while my dog does his business. When you’re busy, it’s tempting to fill every waking moment with information, words, sound and fury. Don’t!Project ideas, blog posts, inspirations and aha moments spring from quiet time. Let your brain rest so that new neuropaths can be formed when you’re not even trying. 7. Close the email tab (and the Facebook tab, too). I used to keep the gmail tab on my web browser open at all time during the day so that I’d be notified whenever a new email came in. Don’t be like me! The action of email-checking may not seem like much. But it adds up and constantly interrupts your workflow. Now I check/respond to emails three times a day. When I’m done with emails, I’m done with emails. 8. Change up the rituals. Rules, no matter how good they are, are there to be broken. Your brain needs fresh stimuli to stay engaged. That’s why it’s good for your productivity to break out of your routines and do something different. If you always drink lemon water in the morning, try orange juice for a week. If you always do yoga for exercise, try kickboxing. 9. Say yes to being lazy. I have days when I’m unproductive no matter how much I try. There’re days when I am easily distracted, have no good ideas, and cannot focus. I hope you have those days, too. Yes, you heard it right. Unproductive days are good for you. If you’re usually productive and suddenly not, that’s probably your body’s way of telling you “I’m integrating and processing. I don’t want any new tasks right now. Leave me alone.” And that’s what you should do. Instead of feeling guilty about being unproductive or trying to wrestle your system into submission, give yourself a break. Go watch a movie. Take a hike. Chat with strangers at a local coffee shop. If you curb the urge to fight against your “laziness”, you’ll likely come back tomorrow 10 times more productive. 10. Say no to shiny objects. There’re two approaches you can take to get started on a large project: 1) dab a little into every aspect of the project and try to make progress on all of them, or 2) break the bigger project down to smaller chunks and tackle them one at a time. 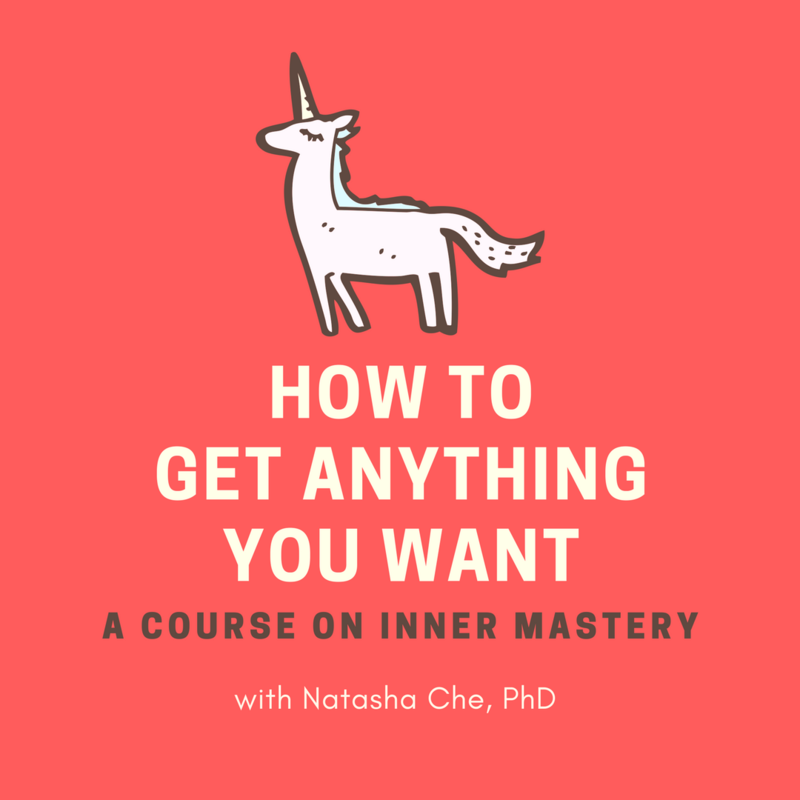 The first approach is likely to make you feel overwhelmed and scatter-brained. You may find yourself plug away at your project for days with little to show for. In contrast, the second approach narrow down your focus to the immediate next step, and keep your morale high with faster result/feedback. Nowadays before I start a project, I think of its subcomponents, write them down, and focus on one component at a time. I also plan out my work using my favorite planner, which has the benefit of making my logical and intuitive sides work together. There you have it. Do you have any practices that keep you productive and creative? I’d love to hear about them!